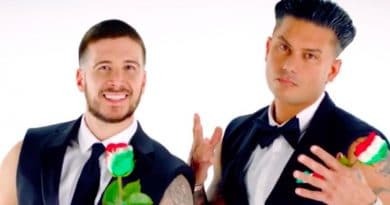 Double Shot at Love brings the Jersey Shore boys Vinny and Paul D back into circulation with the ladies in this dating show competition. Fans of Jersey Shore witnessed Vinny Guadagnino and Paul DelVecchio troll the beach for dates in their younger years. But now they’re older and possibly wiser as they look for love in a different way in this MTV dating show. Double Shot at Love gives 20 women a chance at finding love with these two Jersey Shore stars. 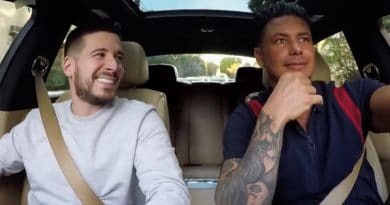 It looks like they date Vinny Guadagnino and best pal Paul DelVecchio together on this show. Much like the show Bachelor but with a twist. Yep, Pauly D and his buddy Vinny date the women together. The show premieres Thursday night on MTV, the same network that aired Jersey Shore. It starts with the ladies walking into Double Shot of Love blindly. They know they are getting a chance to date a celebrity but who that is, stays under wraps. So, this leaves the 20 women in the dark about who they’re about to meet for this dating competition. It seems Vinny and Pauly D have some concerns, considering the women offered some high-end guesses as to who the celeb is. It looks like the vast variety of hopeful guesses include The Rock as the possible celebrity. 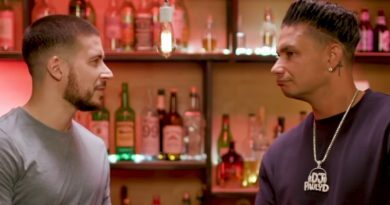 With visions of that movie star in their heads, how will the women react when Pauly D and Vinny show their faces on Double Shot of Love? Pauly D is worried once the ladies see who it really is that they’ll date that these women might “run for the hills”. Or maybe even “quit” the show altogether. These two guys are about a decade older since they first appeared on the Jersey Shore. But their crazy partying antics back then are hard to forget. 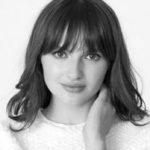 So what’s up with this one woman dating two guys format for the show? According to Pauly D and Vinny, whoever either one ends up with for the rest of their lives, she’s going to have to put up with the other guy as well. As close best friends, Vinny Guadagnino and best buddy, Paul DelVecchio, are together a lot. It seems that Double Shot at Love will make sure whoever Pauly D or Vinny take for a mate for life, she’s going to like his best friend. Since the two are pretty much inseparable, it seems it’s the only way it will work for these two guys. Confused, Amused, or Disappointed Faces? Tune into Double Shot of Love Thursday, April 11, to see the faces on the women for the reveal of Paul DelVecchio and Vinny Guadagnino. These ladies may be getting the first look at their potential life partner. So do they stay or run as Pauly D suggests? It looks like the Jersey Shore alum boys get one season of some bizarre, yet entertaining dating on the MTV program. Check back to Soap Dirt for all the latest on reality shows like Double Shot of Love.